20.5″ width, 22.5″ depth, 39.5″ height. 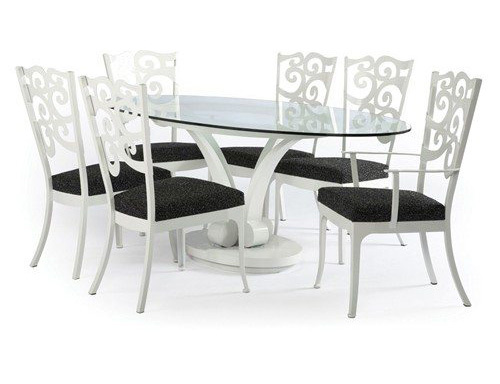 0836B Domino Table Base: 42″ width, 72″ length, 30.25″ height. Our contemporary Domino Rect. 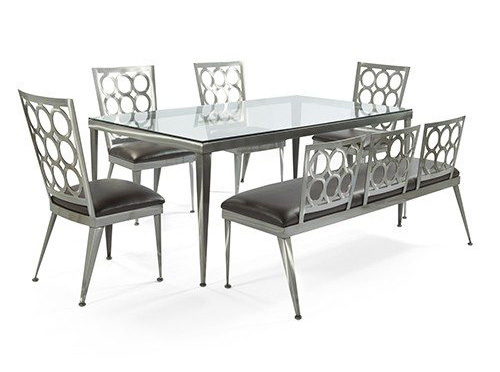 Dining Set features a domino-like laser cut design on gently curving back supports, coupled with an amazingly stable traditional-look base. 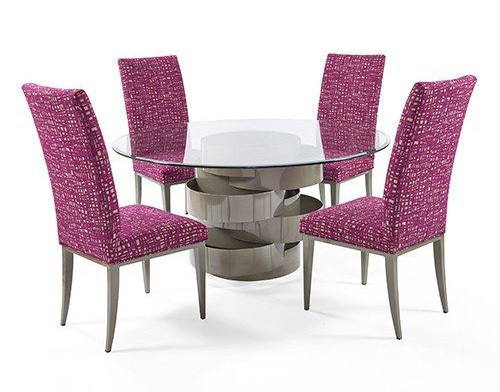 Shown with GLOV4884, 48″ x 84″ oval glass top with 1/2″ thickness, four 6611 side chairs and two 6615 arm chairs. 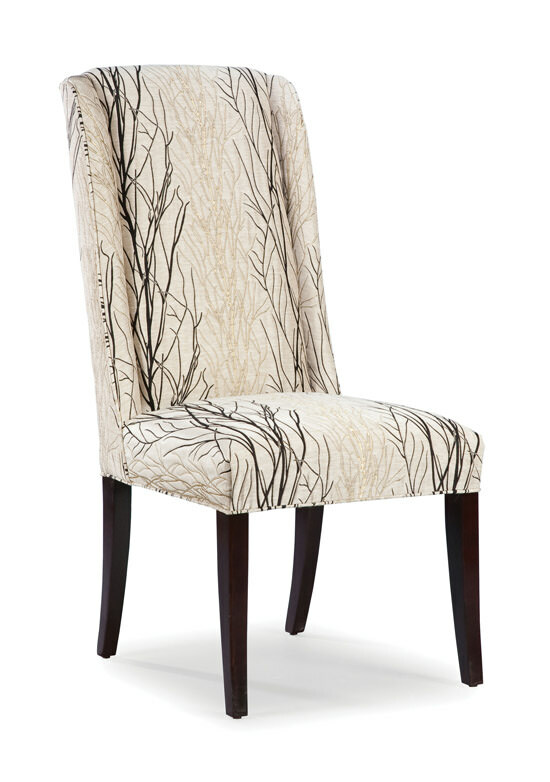 The curling patterns on the backs of the dining chairs create a distinctive, regal look. 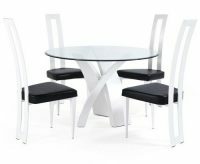 The table base features a central base with outwardly bowing limbs that reach out to support large tabletops. The Bramante Chairs features front legs that gradually tapper to narrow points as they meet the floor and an innovative back that gently bows as it rises from the floor. Combined with the curvy, triangular seat the build possesses a unique, spellbinding artistic beauty. The futuristic look of the chairs couples well with the swirling, curves of the modern Garlyn Table Base. 245-011 Regency Upholstered Chair: 21″ width, 25″ depth, 44″ height, 19″ seat depth51-933B Halo table base: 30.5″ round, 29.5″ height. 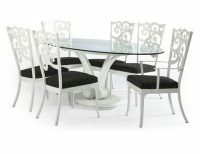 This transitional dining chair has a tall back and slim, modified wings that flow down to the seat. The tall slim legs are tapered.